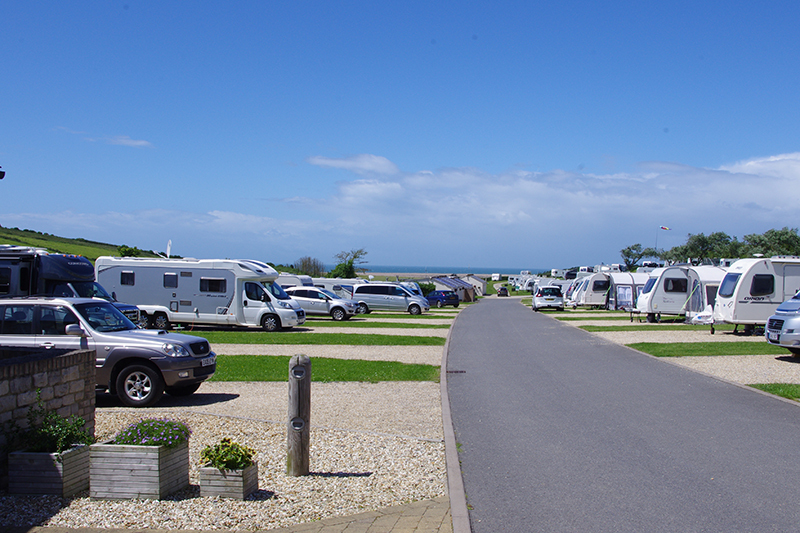 An open all year site close to the Jurassic Coast with on-site bar and grill. A family run park set in a quiet valley, within five miles of Weymouth’s sandy beach and bustling harbour. It is just a short walk to the South West Coast Path and the Fleet Lagoon on the Jurassic Coast. Super pitches have double-width hardstanding, 16-amp electric, water and drainage points. The modern, heated facilities include bathrooms and a wet room. The Red Barn bar and takeaway is open at weekends during mid-season and nightly in high season. There is also a pub within half a mile of the site where you can also get the bus to explore the many attractions along the coastline.